This morning Prime Minister Abe Shinzo paid a visit to the Tomioka Silk Works, Japan's first Western-style silk production facility, recently named a UNESCO World Heritage Site. He paid tribute to the citizens' groups which had cared for the site through its many decades of sleepy neglect and who spearheaded the drive to have the site designated a part of the world's heritage (Link). The prime minister also showed his appreciation for the women whose labors inside Tomioka and Japan's other giant silk mills produced the export yen that helped pay for the national strengthening policies of the Meiji Era. 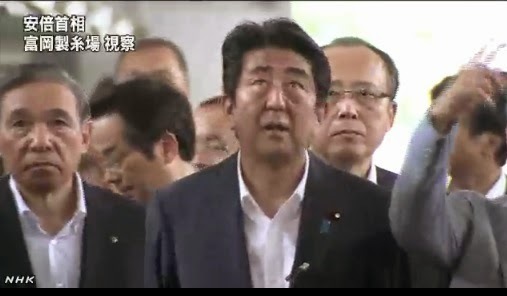 However, in the "recognition for the previously under-recognized" travel league, the prime minister got trounced this week by their Imperial Majesties. It is hard not to love the Emperor and Empress for their efforts, at their advanced ages, to promote a full and complete reckoning of the nation's history. Which suggests an intriguing idea. If Abe Shinzo's views of history make him unsuitable to meet or invite to China or South Korea, how about inviting their Imperial Majesties instead? By inviting them one proves that one's problems are with the policies of the Japanese government, not the Japanese people. One also gives oneself a wonderful chance to get off the merry-go-round of hatred and suspicion the region finds itself on. 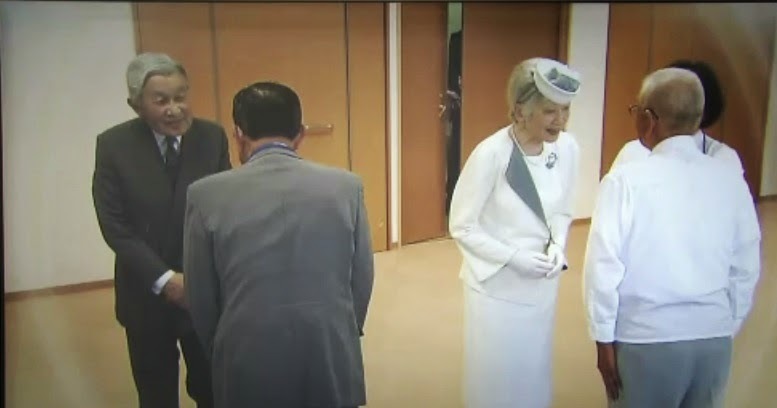 Very good idea to invite the Imperial couple to the Asian mainland. The Imperial Household is probably the costliest monarchy in the developed world due to the cost of the enormous grounds of the Imperial Palace area and other residences in Tokyo (imagine what the rent would be). Unfortunately, the Government of Japan doesn't utilize them very efficiently when it comes to diplomacy. A wonderful idea to invite the Emperor and Empress to the ROK. The Emperor himself has acknowledged the ties between Korea and Japan, both in the imperial bloodline and through the transmission of Buddhism and Confucianism from the mainland to Japan.